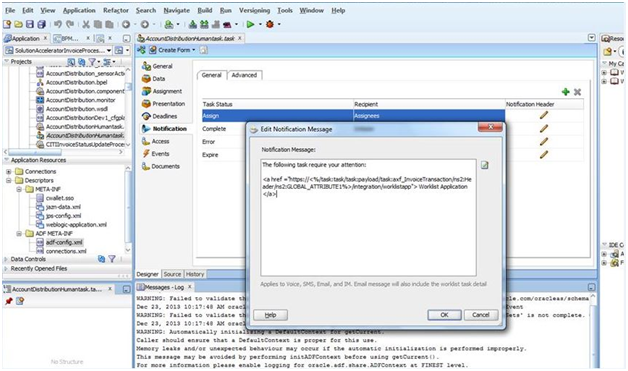 This blog will show how to use an ADF form to send email notification from Human Task, when some action is taken on a task by the user or the task is assigned to a user. 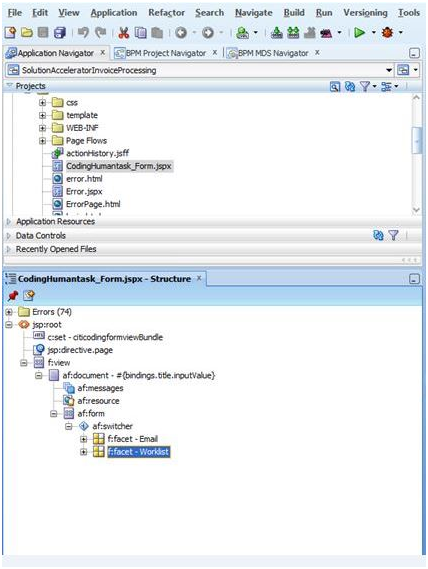 As a prerequisite email configuration has to be done on the server using Enterprise Manager and ADF form needs to be attached to your Human Task. Once email configuration is done, we have to set up the notification in Human Tasks and modify ADF form so that we can send it as Email. 1. 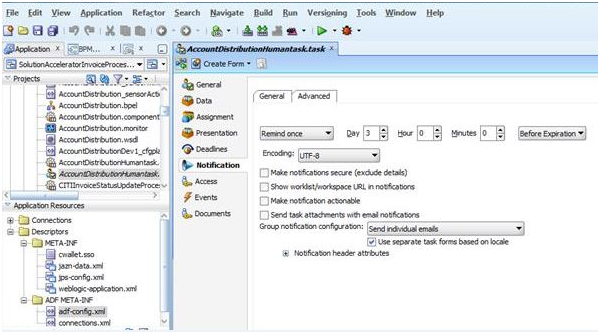 Open a .task file (e.g AccountDistributionHumanTask.task) for which email notification needs to be set. We selected send individual mails in our case. 6. Write your message in Edit Notification Message window as shown below and click OK. 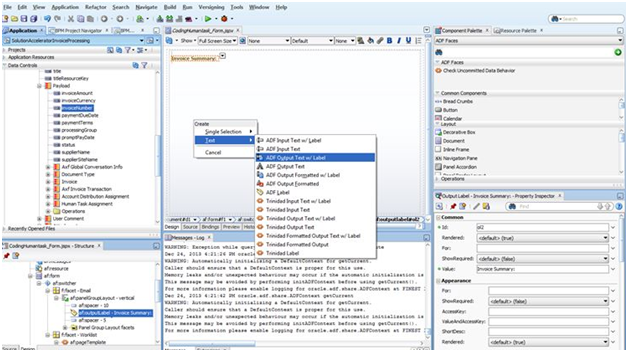 Above settings will pick up the corresponding email id of the user either from mail attribute of embedded LDAP or from the task payload(depends on the requirement and implementation). In our case we are sending a link to Worklist Application, details of which is being picked up from payload for different environment. 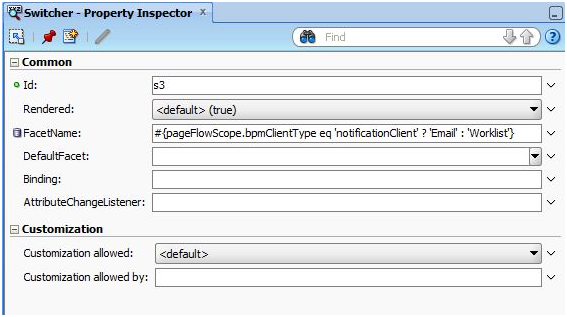 Now when you run your application, above condition will decide whether bpmClientType is notificationClient or not. If it is, then it will execute the Email facet and the response will be based on whatever you put under the Email facet. 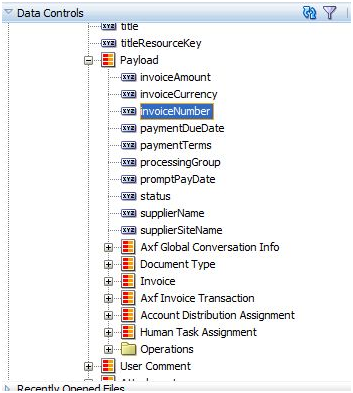 When the ADF form is accessed though a worklist, it will execute the “Worklist” facet and display the complete form for user entry. On the other hand if you are not using ADF form, then the content of email will go into Notification Header as shown earlier or you will have to use email component of BPEL, where a lot of work has to be done in formatting because both will use html tags to create the content. 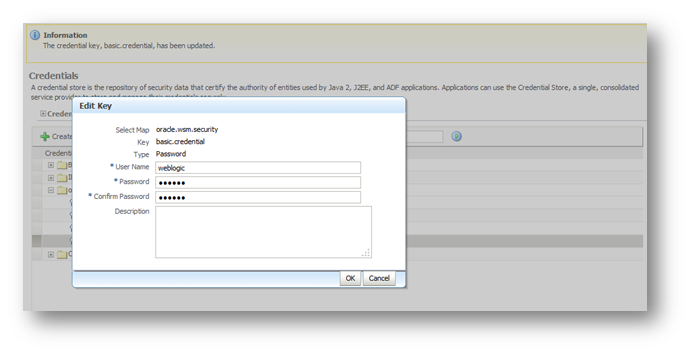 So, using the same ADF form, that you associate to a human task, you can generate the email notification. Much thanks to Siddhartha Agarwal for today's post! 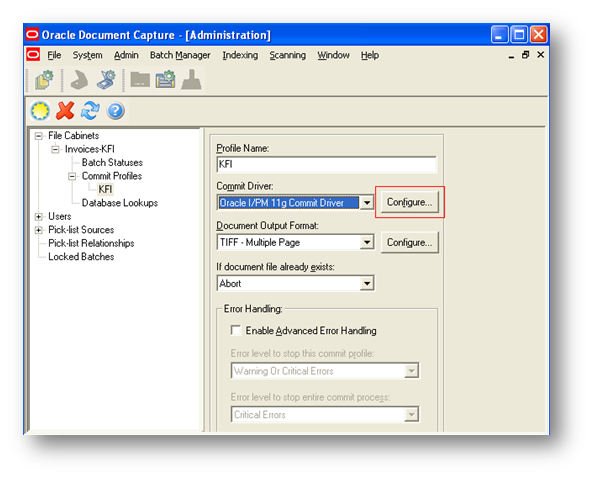 This post covers some of the locations where the change of default admin password is impacted in the Oracle imaging environment. This is assumed that we have used this user for universal integration among servers (which we may not recommend for production environments). To modify the value of the existing value, follow these steps. 6.1. 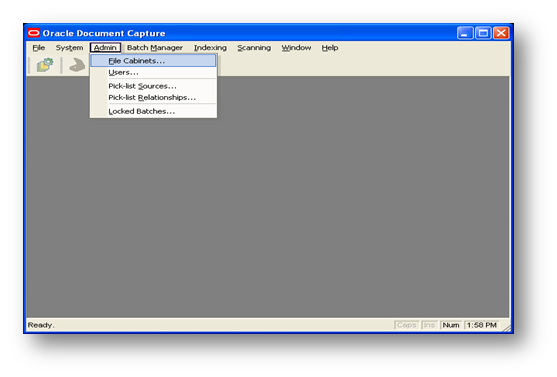 From the list select “basic.credential” key and click on “Edit”. Fill in the proper values in the popup. 1. Connect to APPS schema. 2. Here we need to execute below commands. 1. 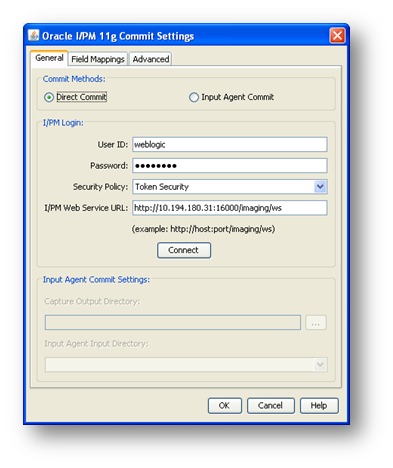 Login to Bali server using putty or winscp. Thanks to Vikrant Korde for today's post!